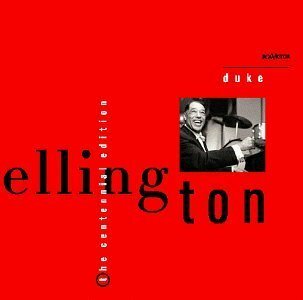 A massive project, but one well worth the effort and time that went into it, this collection of all existing recordings by Duke Ellington for Victor literally sums up his long career, since it begins with singer Evelyn Preer’s “If You Can’t Hold the Man You Love” from January 10, 1927, and concludes with the previously unissued “Mecuria, the Lion” from a December 1, 1973 concert held in Eastbourne, England, the last recorded performance of the orchestra under Duke’s leadership. Although Ellington recorded for numerous other labels, beginning in 1924 and continuing into the ’70s, his work for Victor not only depicts in minute detail his artistic development over the decades, but it is aurally definitive as well, for it was this label that, from the mid ’20s on, proved to be a pioneer in the field of innovative recording technology. Divided into 24 generously timed discs, this collection consists of 461 tracks, of which 107 are alternate takes and additional titles. Included in this number are 18 performances previously unreleased in any form and 31 that are presented here in their first authorized American release. What these latter figures indicate is that while most dedicated lifetime Ellington collectors have long been in possession of bootleg 78s, LPs, and CDs, as well as legitimate European reissues containing most of the relatively unfamiliar performances, to the much larger number of interested aficionados this material will be brand new. Younger students of Ellingtonia, who perhaps have been raised on bop, avant garde, or other forms of modern music, will in particular be stunned, time after countless time, by the creativity, originality, and resourcefulness of Duke and his sidemen in the fashioning of their solos on repeated takes of the same arrangements, not to mention Duke’s own shifting points of view and rethinkings in his career-long returns to earlier themes. At the same time that Duke made fun enlightening, he also made inner musical growth fun. Perhaps most arresting in the category of new insights are the “true stereo” versions of the February 1932 long-play medley recordings of “Mood Indigo/Hot and Bothered/Creole Love Call” and “East St. Louis Toodle-Oo/Lots O’Fingers/Black and Tan Fantasy,” the accidentally derived binaural sound being an as yet unparalleled instance in jazz of early simultaneous recording with two spacially separated microphones. As Steven Lasker, co-producer with Orrin Keepnews, explains it, the resultant mix was “achieved by synchronizing two discretely mixed recordings of the same event onto left and right channels.” His presumption is that the Victor engineers were probably comparing the results of two “slightly different types of recording apparatus,” but the relatively recent discovery of these long forgotten auxiliary masters proved a blessing beyond measure to not only Ellington collectors but to audio historians as well. Apparently, no one back then was even thinking in terms of stereophonic sound or what it might have meant to the recording industry. So the story of this chance discovery so many decades later is almost as fascinating as the recordings themselves. Presented for the most part in strict chronological sequence, the recordings are divided into six groupings or subsets. Thus, the first seven discs encompass the period of 1927 to 1934, while the next six, which cover the so-called “Blanton-Webster Band” of 1940-1942, include, in addition to all of the big band classics, also the entire output of the Ellington/Blanton duo and the combos of Johnny Hodges, Rex Stewart, and Barney Bigard. This subset alone contains 47 alternate takes, which, taken with the masters as a basis for comparison, will continue to prove a fruitful source of research for future critics and musicologists. The largely overlooked mid-forties period occupies three discs, with the final four tracks, the *Esquire* and *Metronome* All Stars titles, sharing a single disc with the Seattle Concert of 1952. Discs 18 through 20 document “The Three Sacred Concerts” of 1965, 1968, and 1973, with the Second having been leased from Fantasy so that all three could be presented in one package. Concluding the collection are three discs grouped together under the heading of “The Last Recordings (1966-1973)” and which consist of the numbers recorded for such LPs as The Far East Suite, The Popular Duke Ellington, The Duke At Tanglewood (actually a 1965 recording of the pianist featured with the Boston Pops Orchestra), And His Mother Called Him Bill and Eastbourne Performance, his last known issued recording. Considering the size of this collection, at press-time heard only on advance review copies and supplemented by various typescript essays by Keepnews, Lasker, Brian Priestley, Stanley Dance, Patricia Willard, and others, questions quickly arose as to the shape and appearance the ultimate product would take. Visions of elongated steamer trunk packaging, however, were soon relieved when advised that the 24 discs would be encased, probably in four, six-disc-deep wells, in a 12″ LP-dimensioned large box, thereby facilitating both convenient shelf storage and sufficient space to house the extensive accompanying booklet, which will include complete discographical and personnel information, copious photos, and the above-mentioned essays. While such production niceties as practicality of design and physical attractiveness remain largely unknown at present, what is beyond doubt is the quality of the music. Duke Ellington, as a bandleader, composer, and orchestrator, left behind such an inspiring legacy of music that it will take another hundred years to fully appraise its impact and implications. Like Louis Armstrong and Charlie Parker, he is rightfully considered one of the three greatest jazz musicians in history. But his art was essentially different from theirs in that, in addition to operating from self-generated creative motives, he also established, from the beginning, symbiotic relationships with his more imaginative sidemen, so that the end result of a given composition or performance was in many cases a communal effort, much in the manner of the idealized early New Orleans jazz band or, indeed, even that of its multi-voiced, polyrhythmic African predecessors. The incorporation of his sidemen’s melodic or rhythmic ideational input, however important in the construction of many of his major themes, has been somewhat exaggerated over the years, and not enough credit has been paid to Duke’s own talents for synthesizing the various background-roots contributions of these individualists. 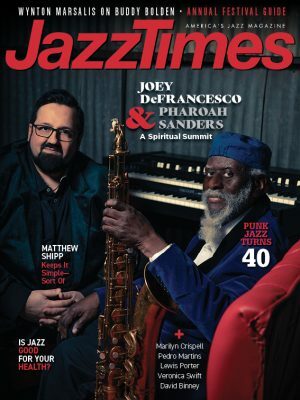 Although such soloists as Bubber Miley, Tricky Sam Nanton, Artie Whetsol, Freddie Jenkins, Juan Tizol, Johnny Hodges, Barney Bigard, Harry Carney, Wellman Braud, Lawrence Brown, Cootie Williams, Rex Stewart, Ben Webster, Jimmy Blanton, Ray Nance, Paul Gonsalves, Jimmy Hamilton, Clark Terry, Tyree Glenn, Russell Procope, Quentin Jackson, Harold Baker, and many others inspired Duke to expand his horizons, by the same token he also provided the landscape on which they were able to flex their own creative muscles.